A breeze drifts softly over your open-air idling jeep when a lion, noble and striking, appears from within the grass. It’s like a scene from Out of Africa, except in Kenya it’s real, unfolding before your eyes. We’ll pair these unparalleled encounters with animal conservancies, which offer unprecedented wildlife viewing while protecting and preserving the animals and their environment. These animal conservancies are part of Micato Safaris and their mission. We invite you to be part of their mission, and by doing so you will leave with the knowledge that you’ve helped ensure future generations will have the same marvelous experience in the incredible land of Kenya. Here, we highlight our favorite conservations and the spectacular animals they help protect. With Micato Safaris, these intimate moments can be yours the minute you step off the plane in Nairobi, spanning from the grand Laikipia Plateau to the majestic Mount Kenya. Are you ready to wash an elephant? 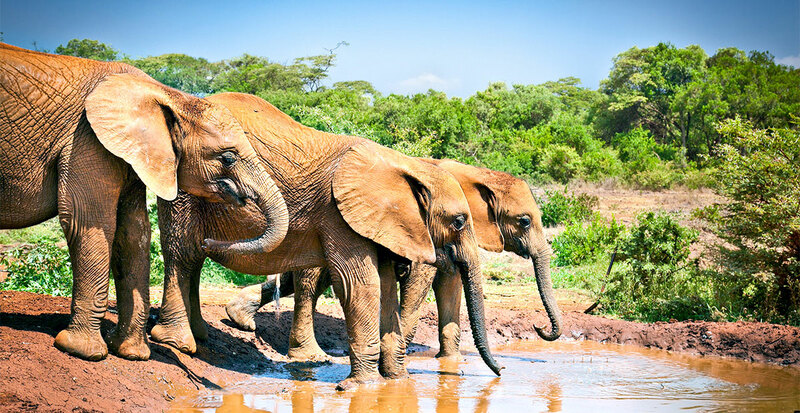 At the luxury safari Ithumba Camp, you can enjoy the elephant orphans’ mid-day mud bath and interact with these beings completely in the wild. The camp belongs to the David Sheldrick Wildlife Trust and works as the second phase for rescued elephants being reintroduced back into the wild at Tsavo National Park. Though it is primarily open exclusively to its donors, we can offer you a unique opportunity to visit this conservation site! The Lewa Wildlife Conservancy, part of the greater UNESCO World Heritage-listed Mount Kenya National Park in northern Kenya, is a stunning example of conservancy in action. View wildlife up-close on foot during a bush walk or in an open four-wheel drive vehicle. Wildlife ranges from the highly endangered white rhinos and Grevy’s zebras to elephants, lions, cheetahs, leopards, giraffes, ostriches and countless bird species. Beyond the animal kingdom, Lewa engages in community development with projects including teaching local farmers more efficient practices and providing kids with sports and other youth-led projects. We can arrange for you to visit a local school so you can see in person how your travels are making a difference. 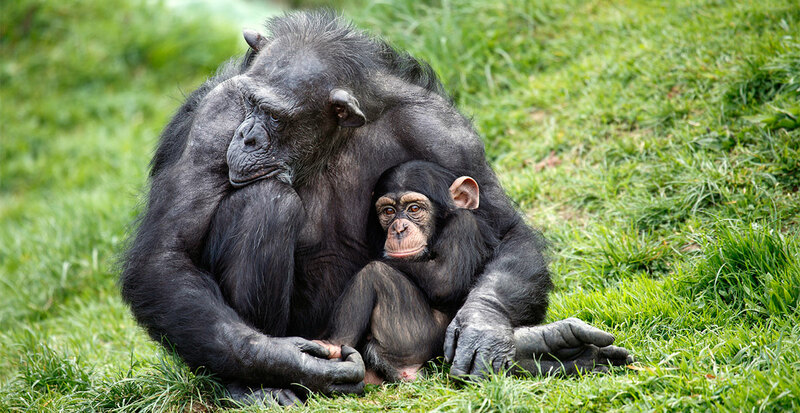 Lewa is also a founding member of the Ol Pejeta Conservancy, home to the Sweetwaters Chimpanzee Sanctuary. The only one of its kind in Kenya, Sweetwaters was established in part with the Kenya Wildlife Service and the Jane Goodall Institute. Experts work to rehabilitate mistreated chimps, bringing them back to health and as playful as ever. Group sizes are limited to six people allowing you to get less than 20 feet away from these rambunctious creatures. 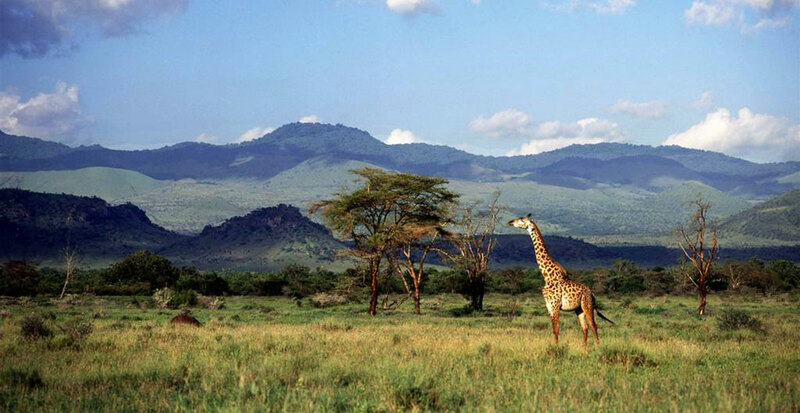 Experience true wonder when beholding unparalleled scenery and free-roaming elephants, giraffes, cheetahs, zebras, and more during a life-changing safari in southern Kenya at Campi ya Kanzi. 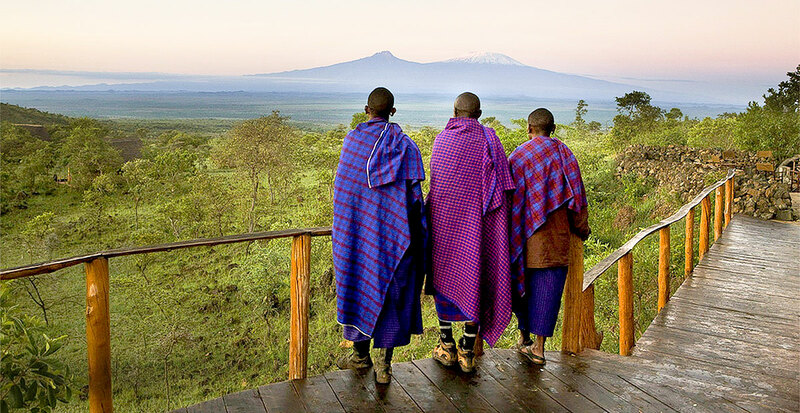 This award winning boutique eco-lodge in the Chyulu Hills on the Maasai reservation offers vibrant cultural immersion amid 283,000 verdant, grassy acres enhanced by a stunning view of Mount Kilimanjaro. With a local, professional Maasai tracker as your guide, you’ll explore this vast landscape, learning about the majestic animals who live here and engaging with the local Maasai people. You’ll travel to Africa for close encounters of the animal kind, but you’ll leave with a newfound love for the people. Beyond wildlife, Micato works hard to conserve the communities which welcome them and their guests year after year through school sponsorship and women’s health programs. In addition to wildlife sanctuaries, we’ll make your safari adventure an immersive experience, connecting you not only to the majestic landscape and creatures who populate it, but also with the people and the cultures who shape and preserve it. Ask us how you can receive our Ultimate Experiences magazine to delve deeper into the life-changing experience of an African safari in Kenya and Tanzania. 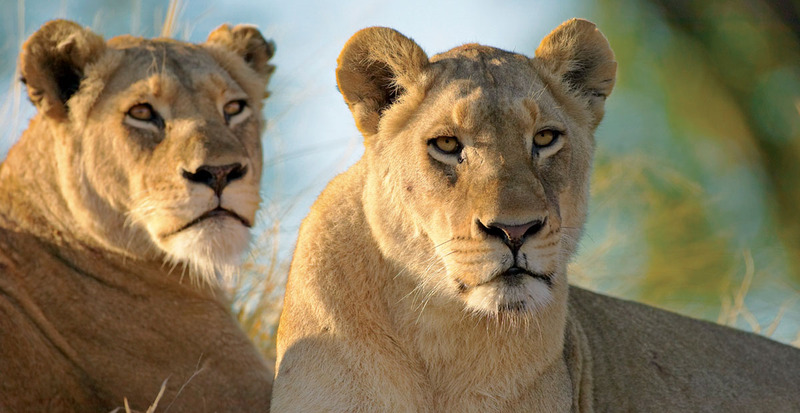 Call us to reserve your Africa safari experience of a lifetime! We'll plan all the details, from a memorable visit to a wildlife conservation to a hotel stay in a luxury tented camp.